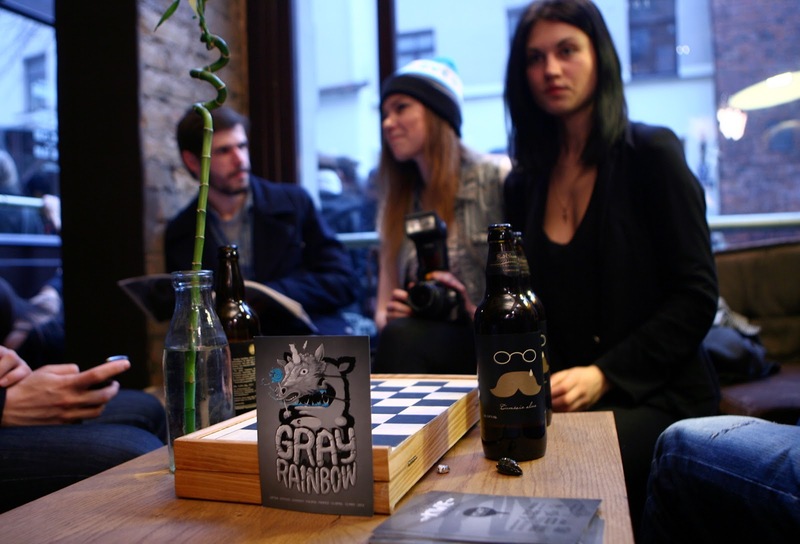 Yesterday I attended an exhibition 'slash' party, where our well-known graffiti artist KIWIE presented his newest artwork series called 'Gray Rainbow' (more information here). As you can see, the location chosen for this event was Bang Bang 'Shop and Coffee' in Old Riga. You can see part of the huge crowd in the picture below. Yes, that`s me in the blue beanie. Photos from easyget.lv, delfi.lv and my camera. Super kā viņš ar eskalatoru tiek pie tās mājas! Gribētos arī Latvijā esot aiziet uz šādiem pasākumiem! NEW POST UP, MUST SEE ! !